Xiaomi Redmi 2 Prime is the first-ever Xiaomi handset manufactured outside China. It is an improved version of the Redmi 2 with bigger RAM and internal memory. Xiaomi Redmi 2 Prime has been unveiled earlier this week as the first Xiaomi handset manufactured in India. The device is said to be the improved version of the current Redmi 2 with a beefed-up RAM and native storage. The Xiaomi Redmi 2 Prime looks strikingly similar to its predecessor framing a 4.7-inch 720p HD display. Under the hood, the handset ticks with the same Snapdragon 410 chipset which is a necessity for an entry-level LTE device nowadays. The RAM is now 2GB boosting the handset's app launching capability. It is also worth noting that the handset is listed to have MIUI 6 based on Android 4.4.4 KitKat but the device is definitely the front-runner in the list of devices to have MIUI 7 on the fly. The rest of the specs include the 16GB native storage, LTE connectivity, Wi-Fi b/g/n, 8MP/2MP camera combination and 2,200 mAh battery. 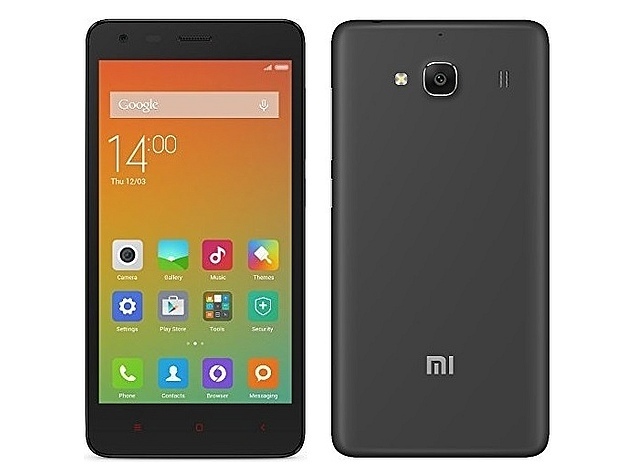 The Xiaomi Redmi 2 Prime have an asking price of USD 110. There's a high chance that the handset will reach the Philippine shores later this year.